Everyone loves a picnic. There’s something enchanting about tucking into sandwiches and cake in the great outdoors. 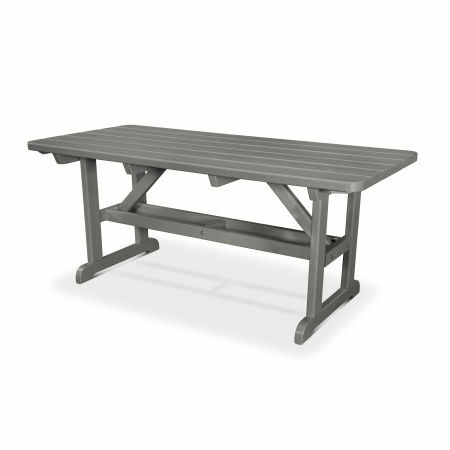 Recapture that magic with a beautiful picnic table from POLYWOOD® . 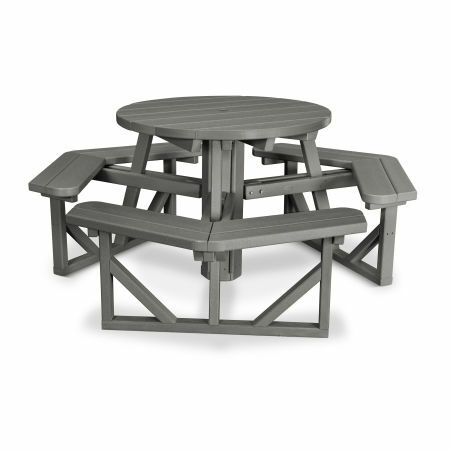 Available in a variety of styles and vibrant colors, our picnic tables come complete with comfortable, built-in seating. Introduce your kids to the joy of a picnic and build memories they’ll cherish forever. 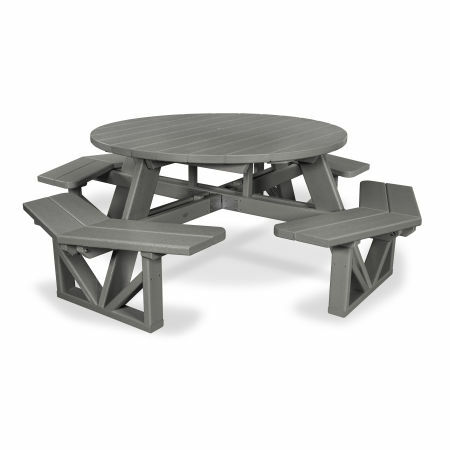 Whether you prefer natural tones or vibrant hues, POLYWOOD® picnic tables come in the perfect colors for your backyard, patio, or deck. Our Color-Stay technology means they’ll stay looking vibrant, all year round. Naturally, POLYWOOD® furniture is weather and stain resistant to keep it beautiful. It’s durable and low maintenance too, and just needs a wipe down with a damp cloth and mild soap to keep it clean. After your picnic, what could be better than enjoying some lawn games? Whether you’re tossing horseshoes, rolling lawn bowls, throwing rings, or aiming lawn darts, the POLYWOOD® picnic table is a great place to gather. Just remember, you probably need to let the kids win from time to time! Picnic tables aren’t just for eating at, they can be a great place to put food and drink together, too. Teach your kids how to make iced tea or lemonade. Show them the way to make the perfect sandwich, or the right proportion of chip and dip. The built-in seating means their little legs won’t get too tired, either. If the weather’s great, there’s no need to keep parties inside. 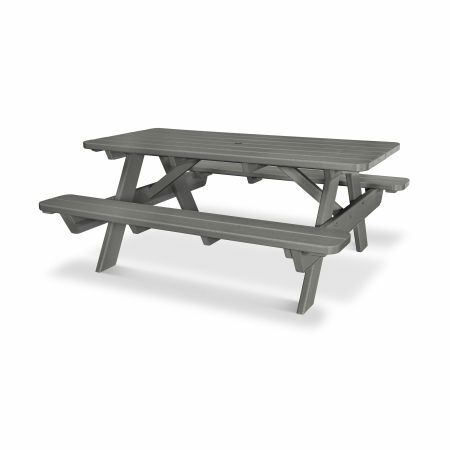 POLYWOOD® picnic tables are perfect for accommodating lots of people, so bring the celebration into the great outdoors. Just don’t let the breeze put the birthday candles out and stop your little one from making a wish.